I'm back at school again from next Monday, 4 days a week! I'm equal parts excited and dreading the amount of time I'll have to spend studying. A while back I posted a pattern 2/8's - this week I've been revisiting the concept and have developed a couple of spin off patterns. Around the farm not much is happening - we're in the middle of Winter, it's cold but not too bad. We haven't had any frozen pipes or much snow on the nearby mountains. Still the wood heater is running 24/7 :) Our two mama sheep have given birth to their lambs - they're healthy and adorable! I love seeing them run around the paddock. Miss Jersey is also due to calf in another 6ish weeks - I can't wait, I'm missing having all that fresh milk and cream. Hope your weekend is amazing! So pretty, Helen. And, one I can probably do gracefully :) Really love the colored one. Thanks for sharing your talent with us. 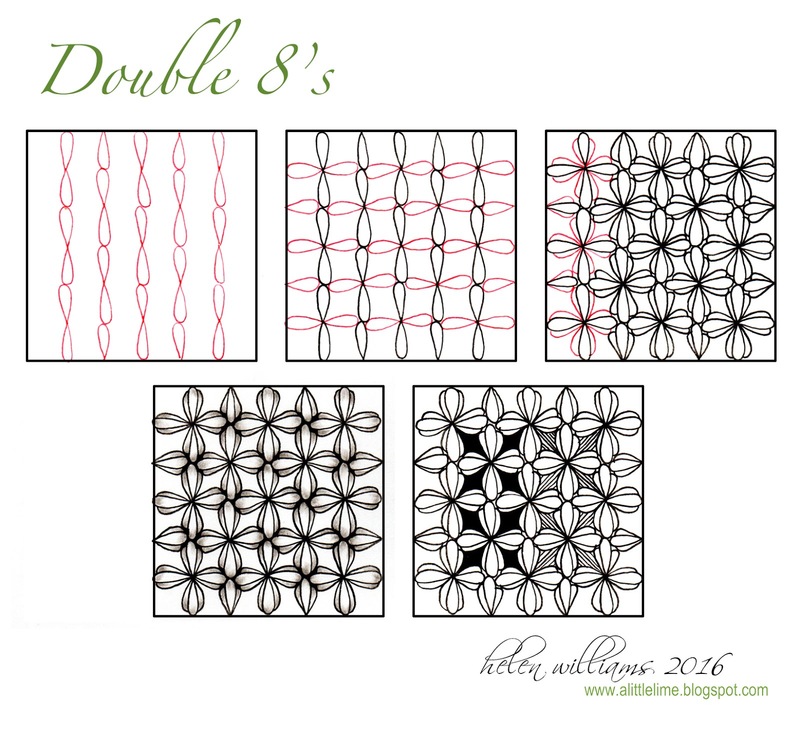 The Double 8s pattern is so lovely, Helen! I agree with Jean Chaney's comment: This looks like a pattern I too might be able to accomplish. Love the color version—subtle and elegant. Thanks for sharing! Just tried your tangle! It's fun! Thanks for sharing! I always enjoy your art!